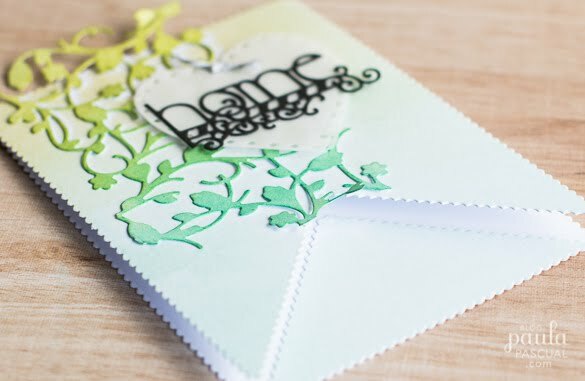 Today, just a simple card I made using the Budding Vine and the Floral Blooms Patterned Panels from Tonic Studios. 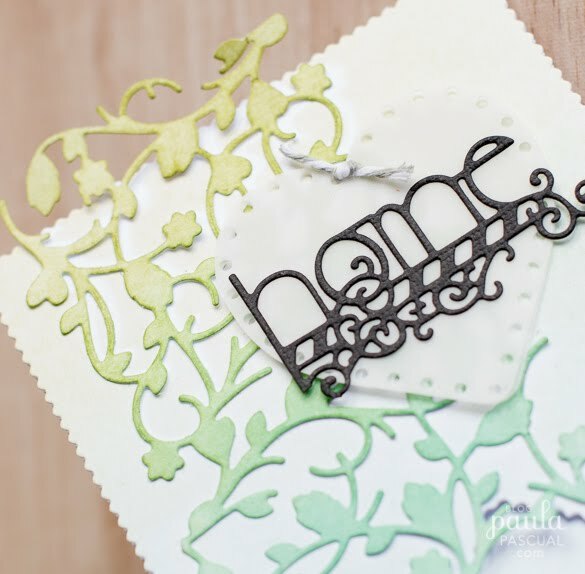 I used the Floral Blooms outside die - a tiny scalloped rectangle - to create the base. Die cut two identical pieces and then i took one and score on the short side about 1cm or 1/2" from the top. On the second panel, I die cut the bottom to create an inverted V shape using the same die. I used Distress ink to colour the background and the Budding Vine and then i trimmed it a bit to be more like an organic shape of vine detail. The heart is die cut out of vellum paper twice and layers together with bakers twine, and the sentiment die cut out of black card using the Home Together set. Those patterned panels are so versatile!